Almost 6 million Americans are living with Alzheimer’s dementia, the only top-ten cause of death that cannot be prevented or cured. 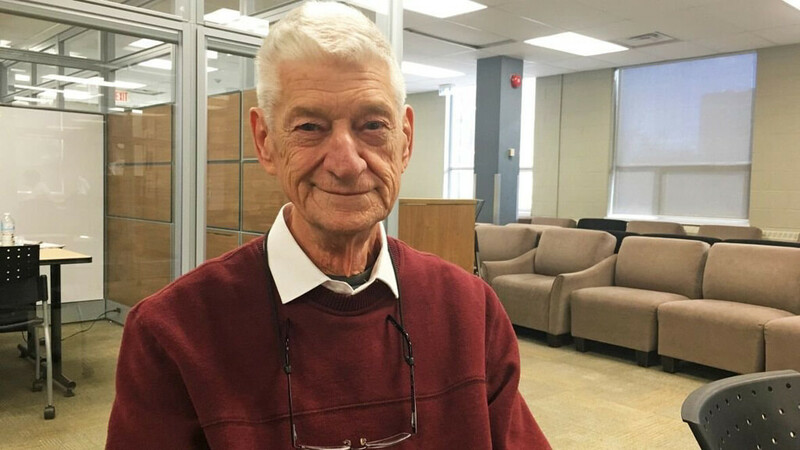 “Too many people, they get diagnosed with something like Alzheimer’s and they think somehow it’s the end,” says Ron Robert of Ontario, Canada. Robert, who was a political journalist and aide to former Canadian Prime Minister Pierre Trudeau, was diagnosed with Alzheimer’s at age 78. The diagnosis was a shock to Robert, even though two of his brothers both succumbed to the disease. Still, when Robert got the diagnosis he knew he had to do something about it. “Just to sit back and do nothing about it is the worst thing you can do,” Robert told CTV News. The 81-year-old decided to enroll at King’s University College in London, Ontario. Twice a week, he takes classes in political science and disability studies. A majority of his peers are young enough to be his grandchildren. “They’re so receptive to it. They sort of look a bit sad at first, but then after I talk to them for a little bit, then they’re all for it,” he says. In moments when Robert becomes disoriented or lost on campus, his peers are always there to help him out.